Papaya & Grapefruit Instant Brightening Cream video from Granbeauty Co., Ltd.
Clear before & after effect. Gently massage product on facial skin as well as neck, elbow and body spots to generate instant brightening effect. Use as final step of skincare ritual. 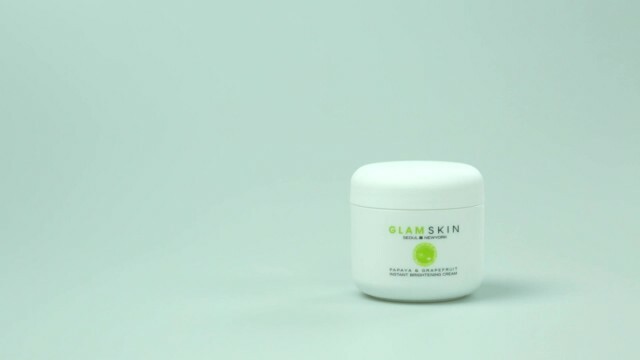 02:36 GLAMSKIN NEW YORK MARKETING Granbeauty Co., Ltd.
00:08 Papaya & Grapefruit Moisturizing Gel Mist Granbeauty Co., Ltd.
00:09 Papaya & Grapefruit Essence Water Cream Granbeauty Co., Ltd.
00:10 Papaya & Grapefruit Body Pearl Moisturizing Lotion Granbeauty Co., Ltd.